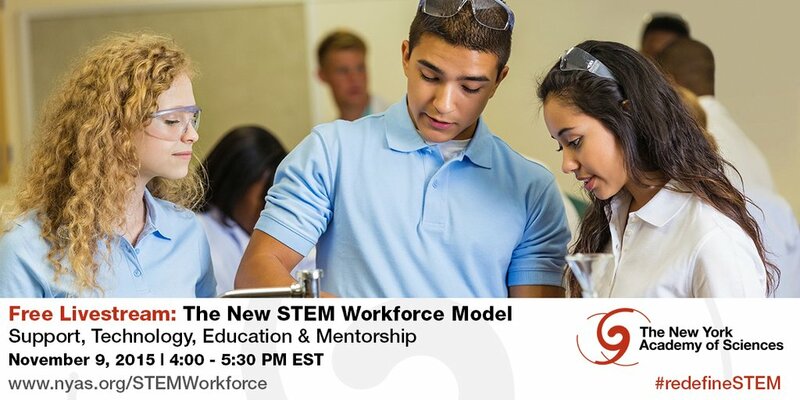 Building the New STEM Workforce: Livestreaming Discussion Today! Jack Kent Cooke Foundation Executive Director Harold O. Levy will be participating in a panel discussion hosted by the Global STEM Alliance at the New York Academy of Sciences (NYAS). The event will be livestreamed at the NYAS website today at 4:00 p.m. EST. Earlier this year, we awarded $500,000 to NYAS in order to launch the Global STEM Alliance Junior Academy, a STEM-focused social learning network for students aged 13-19 which will feature mentoring from STEM professionals from around the world and challenging online courses. The grant was announced by President Barack Obama at the White House Science Fair. The Cooke Foundation is always looking to support new and innovative programs that engage highly talented secondary school students, especially those from low-income backgrounds who cannot afford the tuition and related costs of these opportunities or whose local communities do not offer such programs. The Global STEM Alliance Junior Academy is a perfect example of the type of effort we seek to support. Launched this fall in five cities across the United States, the Junior Academy social learning platform will provide a highly engaging, safe, online environment for high-achieving students interested in STEM career fields to connect with accomplished professionals around the world. The students were identified through a variety of assessments, including a sophisticated gaming platform and global challenges. We hope our friends and partners will watch the livestream this afternoon at 4 p.m. by clicking here. You can also follow the discussion on social media using the event’s hashtag #redefineSTEM.